The Chief Justice will focus on investigating the petition in the presence of five judges. Only to protest against the appeal of the appeal. Justice Malgoda said that his posture should be rejected without accepting the appeal petition. 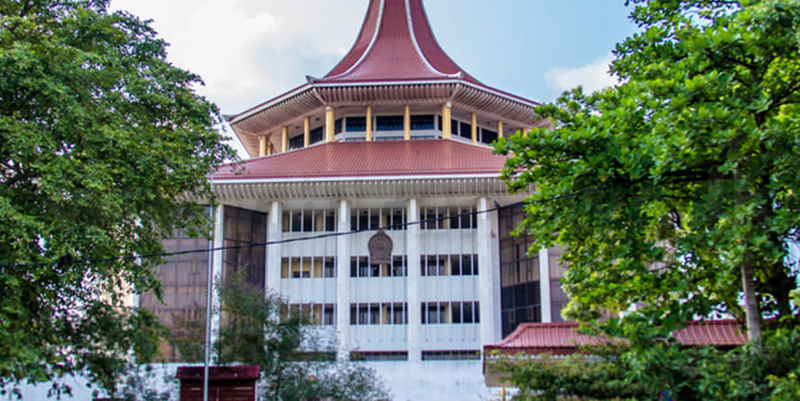 Members of the Cabinet of Ministers headed by Prime Minister Mahinda Rajapaksa requested a special appeal to the Supreme Court to remove the interim ban imposed by the Court of Appeals. The inquiry into these petitions was taken up yesterday morning. There is a lack of prime minister or cabinet in the country due to interim bans issued by the Court of Appeals. President Attorney Romesh de Silva said in a special appeal against the decision of the Cabinet to appoint a cabinet. He also pointed out that the appellate court had imposed the ban on an amended Hanzar report and that the case was not subject to a judgment and that its petitioners were forced into crisis and that it would affect the entire country. He also pointed out that the appellate court had not allowed interim bail to appoint a new cabinet and to act in that position. At this time, Parliament has been informed that the 122 members of Parliament, including Ranil Wickremesinghe, Attorney Kanaka Eeswaran has pointed out here. Kanaga Eswaran said the tailor. The presidential attorney Suren Fernando here said that any parliamentary testimony issued by the state printer confirming the 18th Division of the Parliamentary Prisons Act can be accepted in court. He also pointed out that 42 (1) stands can only be used to vote through parliament at the time of Standing Ordinances and that the appeal petition is important for Parliament and hence no right to prosecute this appeal. After the comments of the two sides, the petitioner was again opposed by the party. In the meanwhile, 10 nimitankaluk the judicial arenas pause after the judges panel for their decision arivittatuviceta Appeal manumitana hearings held yesterday at the judges of the college President Eva vanacuntara, his 39-year public service today (Wednesday 14) First oyvuperuvatakat expressed in this public service is in any case, yarukka E tirppukalaiyo face, mutivukalaiyoetukkavillaiyenrum said. In this instance, the judges and the lawmakers expressed gratitude to the Honorable Justice Eva Vanasundara's services to honor the services of the retired civil servant.